In June 2018, Pakistan was officially placed on the Financial Action Task Force (FATF) “grey list”, despite the country’s efforts to forestall the designation. This paper will analyze the legal framework of the Anti-Money Laundering (AML)/Combating the Financing of Terrorism (CFT) regime in Pakistan and the institutional measures that need to be taken to effectively implement reforms to achieve the ’10-point agenda’ set by FATF and to get Pakistan’s name off the ‘grey list’ permanently. It is important to state at the outset that there are many other countries which probably have a far less comprehensive AML/CFT legislative regime but are not included on the FATF grey-list. Therefore, as such the timing and purpose of putting Pakistan on the list can be seen to be backed by international political reasons more than anything else. Nevertheless, it is in Pakistan’s interests to have a robust and effective AML/CFT regime and this paper critically analyzes the current legislative framework and proposes recommendations from that perspective. The FATF is an inter-governmental organization established in 1989. 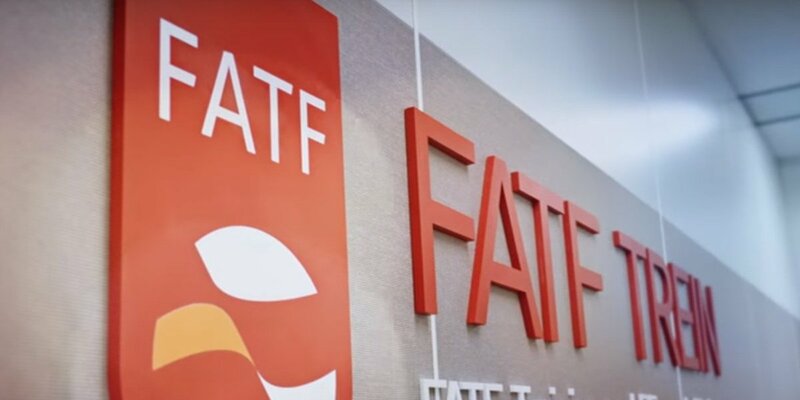 The objectives of the FATF are to set standards and promote effective implementation of legal, regulatory and operational measures for combating money laundering, terrorist financing and other related threats to the integrity of the international financial system. Pakistan is not a member state of FATF. Instead, it is a member of the Asia/Pacific Group on Money Laundering (APG), which is an Associate Member of the FATF. The Asia/Pacific Group on Money Laundering is a regional, inter-governmental organisation, consisting of 41 member jurisdictions. It is an FATF style regional body, focused on ensuring that its members effectively implement the international standards against money laundering, terrorist financing and proliferation financing. Pakistan joined the APG in May 2000. The APG is an associate member in the FATF which permits APG delegates to attend FATF meetings and intervene on policy and other matters. The APG, FATF and other regional anti-money laundering bodies (FATF-style regional bodies) constitute a global network to combat money laundering, financing of terrorism and financing of proliferation. All regional bodies use the FATF’s 40 recommendations as their principal guidelines for the implementation of effective AML/CFT measures. What are the FATF 40 + 8 Recommendations? The FATF has developed Recommendations (40 Recommendations + IX Special Recommendations) that are recognised as the international standard for combating money laundering and the financing of terrorism. Originally developed in 1990, the 40 Recommendations provide a complete set of counter-measures against money laundering covering the criminal justice system and law enforcement, the financial system and its regulation, and international cooperation. In October 2001, the FATF expanded its mandate to deal with the issue of terrorist financing and the Eight Special Recommendations (later expanded to 9) were developed in response to the same. The Recommendations set out the basic framework to detect, prevent and suppress the financing of terrorism and terrorist acts. The FATF Recommendations were revised in 2012, in which the IX Special Recommendations on terrorist financing were fully integrated with the measures against money laundering. Ensure that comprehensive and effective mechanisms are in place to facilitate international cooperation. What are the FATF’s concerns? The FATF found deficiencies in the enforcement of the AML/CFT regime in Pakistan and deficiencies in imposing sanctions against financial institutions for AML/CFT violations. Pakistan did not demonstrate inter-agency cooperation between the federal and provincial authorities to prosecute terrorism financing commensurate with its terrorism financing risks. Concerns over lack of measures to prevent illicit cross-border transportation of currency. The lack of implementation of targeted financial sanctions under the UNSC Resolutions 1267 and 1373 and the inability to freeze the property of UN-designated groups by Pakistan was also identified. (10) demonstrating that facilities and services owned or controlled by designated persons are deprived of their resources and the usage of the resources. Pakistan should attempt to further strengthen its legal/regulatory framework with respect to AML/CFT and improve implementation of the legal regime in place, so as to satisfy the FATF and permanently get off the list. This paper will attempt to identify the loopholes and the defects within the existing AML/CFT legal framework and propose workable suggestions to remedy the same. The term “money laundering” is not defined in the AMLO even though it is central to the definition of the offence of money laundering (Section 3). This leaves the scope of the offence ambiguous. · The United Nations Office on Drugs and Crime (‘UNODC’) identifies ‘Money Laundering’ as “the method by which criminals disguise the illegal origins of their wealth and protect their asset bases, so as to avoid the suspicion of law enforcement agencies and prevent leaving a trail of incriminating evidence”. · The FATF defines it as the “processing of criminal proceeds to disguise its illegal origin, thereby enabling the criminal to enjoy the profits without jeopardizing the source”. 2. Section 2(m) ” “non-financial businesses and professions” means real estate agents, jewellers, dealers in precious metals and precious stones, lawyers, notaries and other legal professionals, accountants, trust and company service providers and such other non-financial businesses and professions as may be notified by the Federal Government;”This definition does not include for instance, auditors and tax advisors. It is suggested that the ambit of the non-financial businesses and professions be widened:·Include auditors, tax advisors etc·Include other persons trading in goods to the extent that payments are made or received in cash in an amount of Rs 2 million or more, whether the transaction is carried out in a single operation or in several operations which appear to be linked (Comparable to EU legislation on AML/CFT)·It is suggested that the AMLO Act requirements be extended to the full range of non-financial businesses and professions and effort be made to ensure that they are effectively regulated and supervised. 3. Section 2(q) ““proceeds of crime” means any property derived or obtained directly or indirectly by any person from the commission of a predicate offence or a foreign serious offence;” · To further strengthen the clause, it may be useful to include the phrase “or in connection with” after “indirectly”India – PMLA 2002 (as amended by the Finance Act 2015) – defines “proceeds of crime” as including within its ambit not only the specific property (which is the subject matter of money laundering) or its value, but also the property-equivalent in value held within the country (in a situation where property which is the ‘proceed of crime’ is taken or held outside the country).To illustrate, if a person X has been accused of having proceeds of crime in country X, in that situation, his assets in India of the same value will qualify as ‘proceeds of crime’, even though these assets per se are not the ‘proceeds of crime’ or in no way connected to it. This has been done with a view to enable action in those cases where ‘proceeds of crime’ are taken or held outside the country and to allow action to be taken for attachment of equivalent asset located within the country. This step appears to have been taken in view of the increasing internationalisation of crime. 4. Section 3 – Offence of Money Laundering “A person shall be guilty of offence of money laundering, if the person:—(a) acquires, converts, possesses, uses or transfers property, knowing or having reason to believe that such property is proceeds of crime;(b) conceals or disguises the true nature, origin, location, disposition, movement or ownership of property, knowing or having reason to believe that such property is proceeds of crime;(c) holds or possesses on behalf of any other person any property knowing or having reason to believe that such property is proceeds of crime; or(d) participates in, associates, conspires to commit, attempts to commit, aids, abets, facilitates, or counsels the commission of the acts specified in clauses (a), (b) and (c).” · Section 3 complies with the four elements of money laundering, as set out in Section 6 of the Organised Crime Convention.· To widen the net of individuals that can be prosecuted under this provision, it may be useful to include “or from an act of participation in such activity” after “proceeds of crime” in (a), (b), (c)· It is observed that the APG recommendations in the Mutual Evaluation Report were incorporated and the net of people that can be prosecuted for AML violations has been widened.In the 2007 AMLO Act, there was no offence for participation in, aiding and abetting the commission of money laundering offences. 6. Section 6 – Financial Monitoring Unit (6) “….the Director-General may, if there appear to be reasonable grounds to believe that a property is the property involved in money laundering, order freezing of such property, for a maximum period of fifteen days,…” It is suggested that the period of time for which the Director-General may freeze assets be increased. 7. Section 8 – Section 10Forfeiture Provisions (9) (7) “After passing the order of forfeiture under sub-section (6), the Court shall direct the release of all properties other than the properties involved in money laundering to the persons from whom such properties were seized.” Sections 8 and 9 provide a complicated 4-pronged mechanism of forfeiture: (i) provisional attachment by an investigator; (ii) confirmation of provisional restraint by the Court; (iii) Court declaration, following trial, that the order be rendered “final”; and (iv) apparent conversion of attachment into an order for forfeiture.This is further complicated by Section 9(7). There should be conclusive evidence that the properties that are being released are not proceeds of crime or linked in any way, to money laundering. That evidence may be difficult to find.India – Section 24 of the PMLA casts the burden of proving that (alleged) proceeds of crime are not involved in Money Laundering on the Accused. This prima facie appears harsh, but on a deeper scrutiny it seems that this section will not relieve the prosecution of its responsibility of making a specific allegation that the monies that are allegedly being laundered are earned by committing a particular schedule offence or offences under the PMLA and are, therefore, proceeds of crime.India – The law incorporates the presumption that where money-laundering involves two or more connected transactions and one or more such transactions is/are proved to be involved in money-laundering, then for the purposes of adjudication or confiscation under Section 8, it shall, unless otherwise proved to the satisfaction of the adjudicating authority, be presumed that the remaining transactions form part of such interconnected transactions i.e., involved in money-laundering as well (Section 23 of PMLA, 2002). 8. Section 20 – Jurisdiction Court of Sessions There are, on any particular day, about a 100-200 cases pending on the cause list. It would be worthwhile to include a time limit within which the cases have to be decided, so that cases pertaining to AML/CFT are fast-tracked. 9. Section 26 – Agreements with foreign countries 1(d) “transfer of property relating to any offence under this Ordinance or under the corresponding law in force in that country”. No such agreements have yet been concluded. Accordingly, AMLO does not currently enable Mutual Legal Assistance related to freezing and confiscation of criminal proceeds.We understand that Pakistan is currently in talks with various countries to finalize Mutual Legal Assistance treaties. 10. Section 28 and Section 30(2) (28) “Where a letter of request is received by the Federal Government from a court or authority in a contracting State requesting for investigation into an offence or proceedings under this Act or under the corresponding law in force in that country, the Federal Government may forward such letter of request to the Court or to the authorized officer or any authority under this Act …”(30)(2) “Where a letter of request is received by the Federal Government from a court in a contracting State requesting attachment or forfeiture of the property in Pakistan derived or obtained, directly or indirectly, by any person from the commission of an offence under section 3 committed in that contracting State, the Federal Government may forward such letter of request to the investigating agency…” It is suggested that requests for investigation and attachment of property from Contracting States should be mandatorily looked into. Hence, the use of the word “may” should be replaced with “shall”. 11. Section 29 – Reciprocal arrangements for processes and assistance for transfer of accused persons (2) “Where a Court, in relation to an offence punishable under section 4, has received for service or execution,—(a) a summons to an accused person;(b) a warrant for the arrest of an accused person;(c) a summons to any person requiring him to attend and produce a document or other thing, or to produce it; or(d) a search warrant, issued by a court, judge or magistrate in a contracting State, it shall cause the same to be served or executed as if it were a summons or warrant received by it from another court in the said territories for service or execution within its local jurisdiction; and where;(i) a warrant of arrest has been executed, the person arrested shall be dealt with in accordance with the procedure specified under section 16;”(3) “Where a person transferred to a contracting State pursuant to sub-section (2) is a prisoner in Pakistan, the Court or the Federal Government may impose such conditions as that Court or Government deems fit.” It is unclear whether any extradition treaties, pertaining to or including AML/CFT offences, have been enacted pursuant to this.Money laundering, is an extraditable offence, as it was added to the Schedule of the Extradition Act, 1972 by way of Gazetted notification dated 17 March 2009.However, there is no detailed data concerning extraditions so it is not possible to comment on the regime’s effectiveness. A mutual legal assistance treaty (MLAT) is an agreement between two or more countries for the purpose of gathering and exchanging evidence for use in the investigation and prosecution of criminal cases. There should be a standalone Mutual Legal Assistance (MLA) Regime in Pakistan to facilitate legal cooperation between states for transnational crimes such as money laundering and terrorism financing. Pakistan does not have a consolidated MLA regime – although officials advise that steps are underway to enact legislation that would establish one. Pakistan could consider improving its legal framework for MLA by enacting a law that deals specifically with MLA. The CrPC is designed for domestic and not foreign investigations, it does not expressly address matters such as dual criminality, offenses eligible for assistance, grounds for denying assistance, channel of communication with foreign states, designation of a central authority to handle requests, taking evidence by video conference, production orders, etc. A special law that expressly addresses these matters could add certainty and transparency to the MLA process. It is suggested that the other recommendations made by the APG group in the Mutual Evaluation Report should also be considered for implementation. United Nations Security Council Resolution 1267 was adopted unanimously on 15 October 1999; the Council designated Osama bin Laden and associates as terrorists and established a sanctions regime to cover individuals and entities associated with Al-Qaida, Osama bin Laden and/or the Taliban wherever located. The 1267 sanctions regime was initially based on three UNSC resolutions. First, UNSCR 1267 (1999), adopted following the Al-Qaeda attacks on United States (US) embassies in East Africa, imposed a limited air embargo and assets freeze on individuals and entities connected with the Taliban in Afghanistan. Second, UNSCR 1333 (2000), extended those sanctions to individuals and entities associated with Osama Bin Laden and Al-Qaeda. This regime evolved to include asset freezes, travel bans and arms embargoes against individuals and entities named on the 1267 Sanctions List, without the requirement of any territorial connection and for a potentially unlimited period of time (UNSCR 1390 (2002)). Finally, UNSCR 2253 (2015) extended the Al-Qaida Sanctions List to individuals and entities connected with the Islamic State of Iraq and Levant (ISIL/Da’esh), changing the title of the Sanctions List to what is now the ISIL (Da’esh) and Al-Qaida Sanctions List. The regime is composed of a UN Security Council Committee, Security Council Committee pursuant to resolutions 1267 (1999), 1989 (2011) and 2253 (2015) concerning ISIL (Da’esh), Al-Qaida, and associated individuals, groups, undertakings and entities, which oversees a “consolidated list” of people and entities it has determined as being associated with Al-Qaeda or the Taliban, and the laws which must be passed within each member nation in order to implement the sanctions. Under the listing procedure, any UN member state may submit names to the Sanctions Committee to request their inclusion on the Sanctions List. The committee approves or rejects the listing requests, unless a UNSC member objects within a certain period. Once an individual or entity is placed on the Sanctions List, all UN member states are obliged to implement the asset freeze, arms embargo and travel ban against them. The other main counter-terrorist sanctions regime was set up by the UNSC by means of Resolution 1373 (2001) in the aftermath of the attacks on 11 September, 2001. The Resolution requires states to criminalise the support of terrorism, by freezing the funds of those suspected of making financial resources available to terrorists and by introducing domestic legislation making support for terrorist acts a serious criminal offence, sanctioned accordingly. UNSCR 1373 (2001) therefore establishes a ‘parallel’ or ‘decentralised’ listing system, whereby UN member states are given discretion over decisions on who to list. Under this regime, suspects or groups need not therefore necessarily be associated with Al-Qaeda or the Taliban, as UNSCR 1373 allows for the listing of individuals or groups as considered necessary ‘to prevent and suppress the financing of terrorist acts’. These designations are made at national or regional level, however, individuals or groups have greater means to challenge their listing, including through judicial review. The 1373 Counter-Terrorism Committee (CTC) was established as a subsidiary body of the UNSC to monitor the implementation of the 1373 regime. Criminalize active and passive assistance for terrorism in domestic law and bring violators to justice. In addition, with respect to terrorist financing, the UN Convention on the Suppression of Terrorist Financing was introduced in 1999. The State Bank of Pakistan has issued, Guidelines on Compliance of Government of Pakistan’s Notifications under the United Nations Security Council (UNSC) Resolutions. The Ministry of Foreign Affairs issues Statutory Regulatory Orders (SROs) to provide legal cover for implementing sanction measures under Security Council Resolutions. These SROs in respect of listed individuals/ entities require assets freeze, travel ban and arms embargo in accordance with the Security Council Resolutions. Similarly, for implementing sanction measures under Security Council Resolution 1373(2001), the Ministry of Interior issues Notifications of proscribed entities/ individuals pursuant to the Anti-Terrorism Act, 1997. State Bank of Pakistan circulates the subject SROs/Notifications to its regulated entities for taking necessary action as per SRO. Further, the Government of Pakistan has already prescribed penalty up to Rs. 10 million for non-compliance of sanctions regime being implemented through SROs under the UN (Security Council) Act, 1948. Pakistan’s failure to adequately crack down on the activities of proscribed organisations under UNSC Resolutions 1267 and 1373 was probably a sticking point for some members of the FATF, specifically in connection to the movement of leaders of certain organizations. The Pakistani government had put the leaders of these organisations under house arrest but they were released by the High Court, as had happened on previous occasions as well, including in relation to Hafiz Saeed, who was listed by the UN Security Council in December 2008. Designated individuals have been released by Pakistani courts several times. A case in point is the recent Supreme Court decision allowing Hafiz Saeed and his charities to continue work. This can be attributed to the lack of evidence to convict such individuals in Pakistani courts. The ATA is particularly pertinent in the context of the FATF grey listing. On 11 February, 2018, the President promulgated an Ordinance further amending the ATA, 1997, enabling the federal government to freeze, seize and manage properties, assets and charitable works of the banned organisations and individuals. It is important to note that there is a Bill pending before the National Assembly, titled the Anti-Terrorism Bill 2018, which seeks amendments in sections 11B and 11EE of the Anti-Terrorism Act 1997 so that the federal government can take action against a person or organisation solely based on the Resolutions of UN Security Council. The passage of the Bill will translate the Ordinance into an Act of Parliament. However, it remains to be seen how effective the Ordinance and the Bill (if passed by an Act of Parliament) will be to reign in the proscribed organizations and freeze their assets. 1. 11B. Proscription of organisations “(1) The Federal Government may, by order published in the official Gazette, list an organisation as a proscribed organisation in the First Schedule on an ex parte basis, if there are reasonable grounds to believe that it is:-(a) concerned in terrorism; or(b) owned or controlled, directly or indirectly, by any individual or organisation proscribed under this Act; or(c) acting on behalf of, or at the direction of, any individual or organisation proscribed under this Act. The Presidential Ordinance amended this clause to include:“In Section 11B, “in sub-section (1), after clause (a), the following new clause shall be inserted, namely:- “(aa) listed under the United Nations (Security Council) Act, 1948 (XIV of 1948), or”.This is a welcome step. It may be questioned if this is too little, too late and whether this will pacify the FATF members. 2. 11EE. Proscription of person and surety (1) The Federal Government may, by order published in the official Gazette, list a person as a proscribed person in the Fourth Schedule on an ex parte basis, if there are reasonable grounds to believe that such person is:-(a) concerned in terrorism;(b) an activist, office bearer or an associate of an organization kept under observation under section 11D or proscribed under section 11B; and(c) in any way concerned or suspected to be concerned with such organization or affiliated with any group or organization suspected to be involved in terrorism or sectarianism; or acting on behalf of, or at the direction of, any person or organisation proscribed under this Act. (2) The Proscribed Organization shall submit all accounts of its income and expenditure for its political and social welfare activities and disclose all funding sources to the competent authority designated by the Federal Government. …. (e) – “check and probe the assets of such persons or their immediate family members i.e., parents, wives and children through police or any other Government agency, which shell exercise the power as are available to it under the relevant law for the purposes of the investigation, to ascertain whether assets and sources of income are legitimate and are being spent on lawful objectives…” The Presidential Ordinance, 2018 also amended this clause to include the proscription of individuals listed in UNSC resolutions 1267 and 1373.“in sub-section (1), after clause (a), the following new clause shall be inserted, namely:-“(aa) listed under the United Nations (Security Council) Act, 1948 (XIV of 1948); or”.“Furthermore, Subsection 2(e) needs to be amended as all assets of the proscribed person should be frozen indefinitely. All assets where there is a suspicion that they may be connected to proscribed person, either directly or indirectly, should also be frozen. Assets of other family members, including grandparents and uncles should also be scrutinised. Lastly, the period applicable to such scrutiny should also be extended to at least 5 years from 3 years. The fine should also be defined and increased. 3. 11EEE. Powers to arrest and detain suspected persons ( 1)“The Government if satisfied that with a view to prevent any person whose name is included in the list referred to section 11EE, it is necessary so to do, may, by order in writing, direct to arrest and detain, in such custody as may be specified, such person for such period as may be specified in the order, and Government if satisfied that for the aforesaid reasons it is necessary so to do, may, extend from time to time the period of such detention for a total period not exceeding twelve months.” The detention/arrest period for proscribed persons should be extended to at least 2 years. 4. 11F. Membership, support and meetings relating to a Proscribed Organization 1) A person is guilty of an offence if he belongs or professes to belong to a proscribed organization. (2) A person guilty of an offence under sub-section (1) shall be liable on conviction to a term not exceeding six months imprisonment and a fine. (3) A person commits an offence if he:(a) solicits or invites support for support for a proscribed organization, and the support is not, or is not restricted to, the provisions of 1[money or other property]; or(b) arranges, manages or assists in managing, or addressing meeting which he knows is:-. (i) to support a proscribed organization;. (ii) to further the activities of a proscribed organization; or. (iii) to be addressed by a person who belongs or professes to belong to a proscribed organization. (4) A person commits an offence if he addresses a meeting, or delivers a sermon to a religious gathering, by any means whether verbal, written, electronic, digital or otherwise, and the purpose of his address or sermon, is to encourage support for a proscribed organization or to further its activities. (5) A person commits an offence it he solicits, collects or raises 1[money or other property] for a proscribed organization. (6) A person guilty of an offence under sub-section (3),(4), and (5) shall be liable on conviction to a term of imprisonment, not less than one year and not more than five years and a fine. The imprisonment period should be increased for members of a proscribed organisation to at least 1 year (Subsection 2) to have a deterrent effect. 5. 11H. Fundraising This is the definition for Terrorism Financing in the Pakistani AML/CFT legal regime. It would be worthwhile to clarify the ambiguities surrounding the scope of the TF offence.For the purposes of clarity, the UN Model clause defining TF may be adopted. It is provided below:Consider adopting the Model UN clause on terrorism financing“(2) Any person who by any means, directly or indirectly, [wilfully] provides or collects funds, or attempts to do so, with the intention that they should be used or in the knowledge that they are to be used in whole or in part:(a) in order to carry out a terrorist act; or(b) by a terrorist to facilitate that person’s activities related to terrorist acts or membership in a terrorist organization; or(c) by a terrorist organisation commits an offence. (c) regardless of the State or territory in which the terrorist act is intended to or does occur. (c) intentionally contribute to the commission of an offence under subsection (2) by a group of persons acting with a common purpose, where the contribution is to further the criminal activity or purpose of the group that includes commission of an offence under subsection (2) or where the contribution is made knowing the intention of the group is to commit an offence under subsection (2). 6. 11K. Money laundering (1) A person commits an offence if he enters into or becomes concerned in any arrangement which facilitates the retention or control, by or on behalf of another person, of terrorist property:-(a) by concealment;(b) by removal from the jurisdiction;(c) by transfer to nominees; or(d) in any other way. (2) It is a defence for a person charged with an offence under sub-section (1) to prove that he did not know and had no reasonable cause to suspect that the arrangement related to terrorist property. 7. 11L. Disclosure of Information “…Provided that this sub-section does not require disclosure by a professional legal advisor of any information which he obtains in privileged circumstances.” Disclosure should be extended to legal professionals. 8. 11N. Punishment under Sections 11H to 11K. “Any person who commits an offence under sections 11H to 11K, shall be punishable on conviction with imprisonment for a term not less than 1[five years] and not exceeding 1[ten years] and with fine.” The fine should be defined and should be substantial to act as a deterrent. 9. 11O. Seizure, freeze and detention. (1) On proscription made under section 11B or, as the case may be, section 11EE,- (a) (b) (c) (d) the money or other property owned or controlled, wholly or partly, directly or indirectly, by a proscribed organisation or proscribed person shall be frozen or seized, as the case may be; the money or other property derived or generated from any property referred in clause (a) shall be frozen or seized, as the case may be;no person shall use, transfer, convert, dispose of or remove such money or other property with effect from proscription; and within forty-eight hours of any freeze or seizure, the person carrying out the freeze or seizure shall submit a report containing details of the property and the persons affected by the freeze or seizure to such office of the Federal Government as may be notified in the official Gazette. Proscription does not affect a comprehensive freeze in accordance with UNSCR 1373. Freezing is limited to the sealing of the offices of the entity, the freezing of its accounts and the detention of any cash found in its possession: s 11E and s 11O. Whether offices and accounts held by third parties on behalf of a proscribed organisation or person is unclear. In short, Pakistan needs stronger provisions preventing the raising and moving of funds, identifying and freezing assets (movable and immovable) and prohibiting access to funds and financial services, for proscribed organisations and persons (linked to them directly or indirectly). Furthermore, the ATA should apply to all Pakistanis, wherever they may be resident, as is the case in India. 1. Regulation 3 Suspicious transaction reports STRs and Currency transaction Reports CTRs should only be made to the Financial Monitoring Unit. The FMU was set up in 2007. Hence, it is a relatively new body that does not have the sort of experience NAB and the FIA have. Therefore, a collaborative approach between agencies might be more effective.The APG report recommended that Pakistan avoid a fragmentation of rule-making by using the ongoing revision of the Banking Company Ordinance and the SECP Act to expressly confer these powers on the prudential supervisors, with proper coordination with the FMU. It also recommended more coordination and harmonization of the requirements to avoid the risks of regulatory arbitrage. 3. Regulation 7 Order freezing of “any property or account” reasonably believed to be “involved in money laundering or terrorist financing” for a maximum period of 15 days. The freezing period should be at least a month. 4. It may also be useful to include a provision limiting the amount of cash deposit that third parties may make into a person’s account (such as is the policy with the Bank of America cash deposits). It may be useful to add “members of proscribed organisations” as prohibited from being provided banking services to widen the ambit of the regulation. The Securities and Exchange Commission of Pakistan (SECP) notified the Anti Money Laundering and Countering Financing of Terrorism Regulations, 2018. The regulations supersede all earlier circular/notifications which had separate AML/CFT requirements for financial institutions regulated by the SECP, namely Securities Brokers, Insurance Companies, Non- Banking Finance Companies and Modarabas. These Regulations provide a single set of regulations for all the aforementioned financial institutions with the aim to harmonize the AML/CFT regime. In order to ensure that criminals are not able to hide their identity through the use of complex ownership structure of companies, partnerships, trusts or other similar forms, the financial institutions are required to identify the ultimate beneficial owner, who is a natural person, of all legal persons and legal arrangements before offering their services to them (Regulation 6). As highlighted above, Pakistan has a comprehensive legislative regime related to AML/CFT. There are certain deficiencies indeed and the government has been working to overcome them through legislative amendments and new laws. The main issue is the implementation of the existing and proposed laws and the training of public sector officials and members of the judiciary to deal with such matters. Considering the scope of this exercise and the sheer number of officials that need to be trained properly, this cannot be expected to be done overnight. Moreover, the new government has initiated the process of negotiating Mutual Legal Assistance treaties with key partner countries and this should lead to an improvement in information sharing about AML/CFT matters as well. Furthermore, the training and capacity building functions of the federal and provincial judicial academies, the National Police Academy and the State Bank should be strengthened and utilized for intensive training of relevant officials in the AML/CFT field. 5. For the purposes of point (b) of paragraph 3, Member States shall apply a maximum threshold per customer and per single transaction, whether the transaction is carried out in a single operation or in several operations which appear to be linked. That maximum threshold shall be established at national level, depending on the type of financial activity. It shall be sufficiently low in order to ensure that the types of transactions in question are an impractical and inefficient method for money laundering or terrorist financing, and shall not exceed EUR 1 000. The writer holds an LLM degree from the London School of Economics and Political Science and works at a leading law firm in Lahore. She is also a Policy Analyst at Courting the Law.